This English Cottage Revival house is one of the Hinton Homes. This appears to be the house located at 1013 Jackson Street, although the two home look nearly identical. Both houses were built by Thomas F. Hinton; the first built in 1927, and the second in 1929. 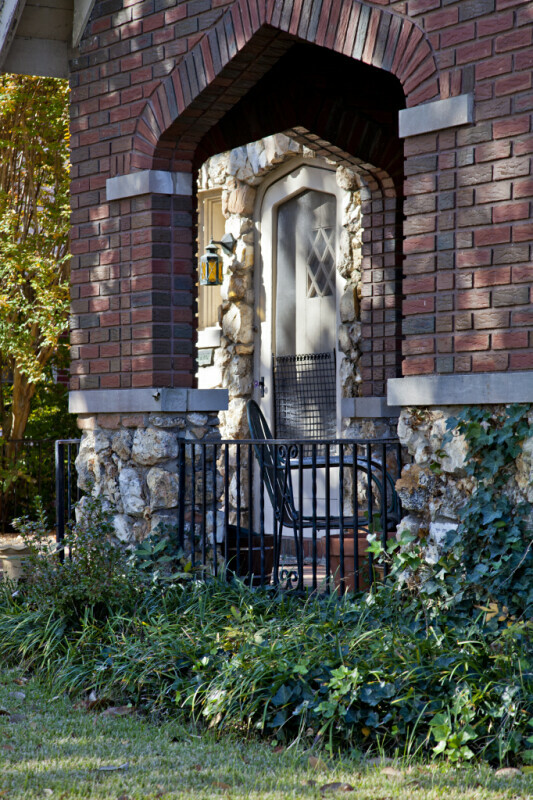 The exterior of the house is covered with brick and stone veneers. This photograph provides a view of the front door.